Chinese Herbal Medicine is a highly advanced system within Chinese Medicine, its efficacy noted throughout thousands of years of study and then modern clinical research. Uniquely, herbs interact with the human systems through resonance. Meaning, each herb is always taken within a formula composed of several other herbs and communicates a slightly different message, depending upon the internal environment of the patient, and depending upon the presence of other herbs in the formula. This allows for a complexity of individualized treatment not yet demonstrated in medications prescribed in Western Medicine. The careful combination of herbs in a formula permits the strengthening and balancing of other herbs' effects. In addition, the well designed formula also allows for the treatment of both the root cause of disease as well as the more apparent, and often more acutely experienced, physical symptoms (the branch). 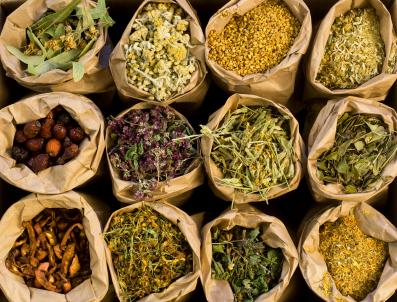 When operating under the premise that each individual is continually expressing what is happening within, and each person is like no other, the art of Herbal Medicine allows for the individualized treatment that characterizes Chinese Medicine. As with Acupuncture, no two patients will ever receive the same treatment, not even for what appears to be the same exact symptoms. The efficacy of Chinese Medicine is in part due to this present-moment individualized diagnosis and treatment.